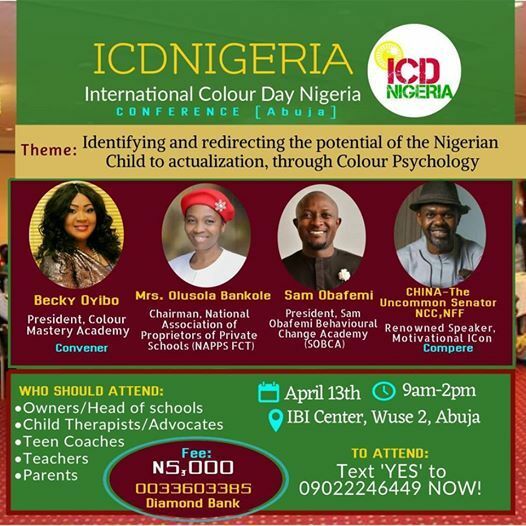 Come, Learn how to use COLOUR PSYCHOLOGY to IDENTIFY & REDIRECT children's potentials to GREATNESS at the International Colour Day Nigeria Conference - ICDNIGERIA Conference ABUJA! Text 'YES' to 09022246449 NOW! 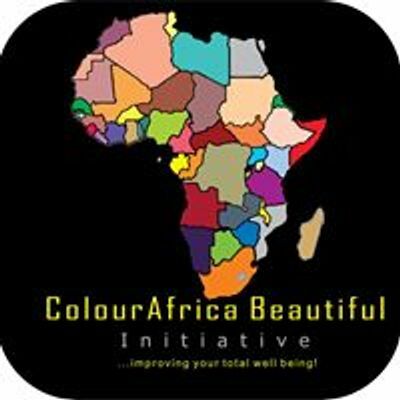 · How to redirect teenagers’ focus to pursuing career paths in sync with their innate abilities and personalities, through the advanced use of Colour Psychology. N5,000 (Five thousand naira only, per participant). Colourstalk Brand | 0033603385 | Diamond Bank. *Certificate is received upon Attendance. Text 'YES' to 09022246449 NOW to attend! !